Having a great mentor is invaluable. This summer, students at UC San Diego’s School of Global Policy and Strategy (GPS) will get the opportunity to learn one-on-one what it takes to make it in our Nation’s capital. 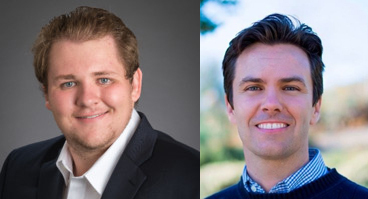 Spearheaded by UC San Diego alumnus Drew Harker ’79, the program was inspired by his time in Washington, interning both on Capitol Hill and at the U.S. Department of State. Thanks to the help of his own mentor at the State Department, he landed his first job with the U.S. Senate from 1981 to 1986, in the Armed Services Committee. Hoping to build community and camaraderie, this summer 12 GPS students traveled to Washington to build their network, research interests and career objectives. Growing up fascinated with history and social sciences, Lesniak was inspired by his mom’s role as an IRS agent under the Treasury Department. Working at the World Bank for two and a half years before coming to GPS, he discovered his love for Washington. Hoping to learn more about how the U.S. government and the policymaking process works, he was eager to return and start his internship. “I think I keep finding my way back because its perhaps the one city where all the things we focus on at GPS – economics, research, politics, policy and international affairs – all come together,” said Lesniak. “Specifically, concepts from accounting and finance, the quantitative methods series and international economics have been instrumental in my work for the Treasury Department." GPS alumnus Kristofor Erickson ‘07 also remembers these courses, which he believes builds the necessary skills to work on the Hill, empowering students to become experts in their respective fields. And, Lesniak is grateful for the pairing, helping him see the similarities and differences between his internship in the executive branch and working on Capitol Hill in Congress. Inspired by his own time on campus, Erickson applauds the efforts of UC San Diego and his GPS network for guiding him along the way. After a job loss on Capitol Hill early in his career, Erickson learned the hard lesson of dealing with life’s uncertainty, hoping he can instill in Lesniak a deeper confidence in his own hard-earned skills. With an interest in studying climate change policy, Isabelle Heilman could not think of a better match, joining forces with Larke Williams ‘03 who spent over six years with the Environmental Protection Agency (EPA). Inspired by Larke’s specializations in environmental policy, air and climate regulations and environmental justice, Heilman was eager to pair up with her, in particular, someone who could act as a model for females working in the policy field. Through discussion, guidance and practice, Larke hopes to foster an awareness of how young women can set themselves up for success by developing a professional demeanor that is assertive and confident. Helping Heilman grow her organizational acumen, Larke is confident she will be a leader in the workplace. For any students heading to Washington, Heilman offers a bit of advice to her fellow GPS cohort, a city she has grown immensely fond of despite the summer humidity. 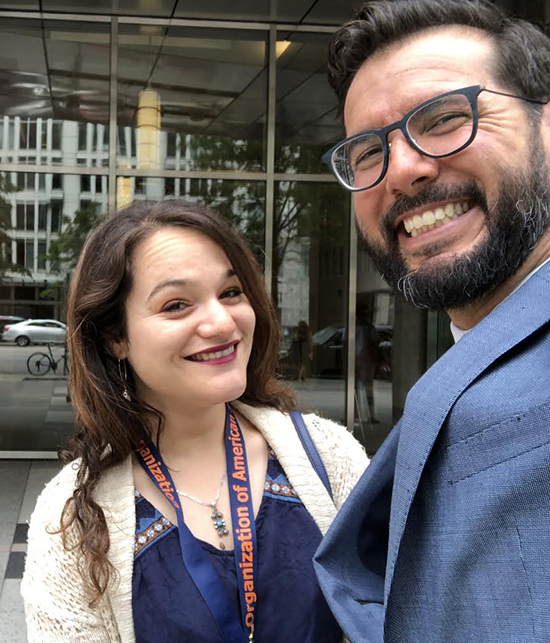 Sharing a passion for advocacy, Valeria Buelna Sainz came to Washington with an interest in state capacity and how it might lead to population displacement and the refugee crises. 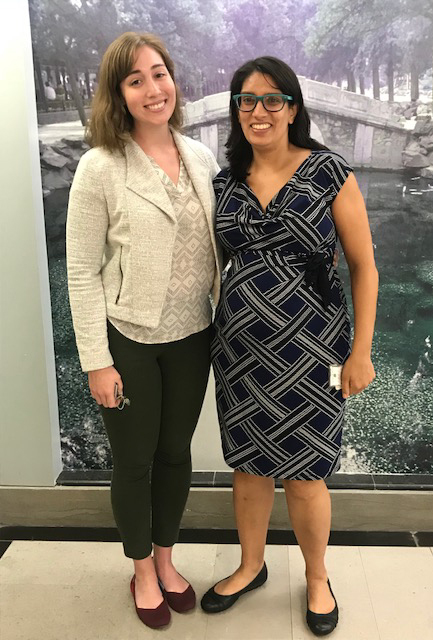 Inspired by GPS classes such as “Drug and Violence in Latin America,” she felt prepared to take on the challenges of her internship at the Organization of American States. Offering an inside look into the grind of policy and politics, Mike Beard has enjoyed helping Buelna Sainz develop her network and solidify her career goals post-graduation. With all the twists and turns of his own life experience in advocacy work, he has encouraged her to remain positive in the face of adversity and keep moving forward. Unlike other East Coast policy schools, Beard stresses the importance of the GPS education, offering employers a candidate with a unique and broad array of experiences. Acting as both a friend and mentor, Buelna Sainz could not be more appreciative of this experience.